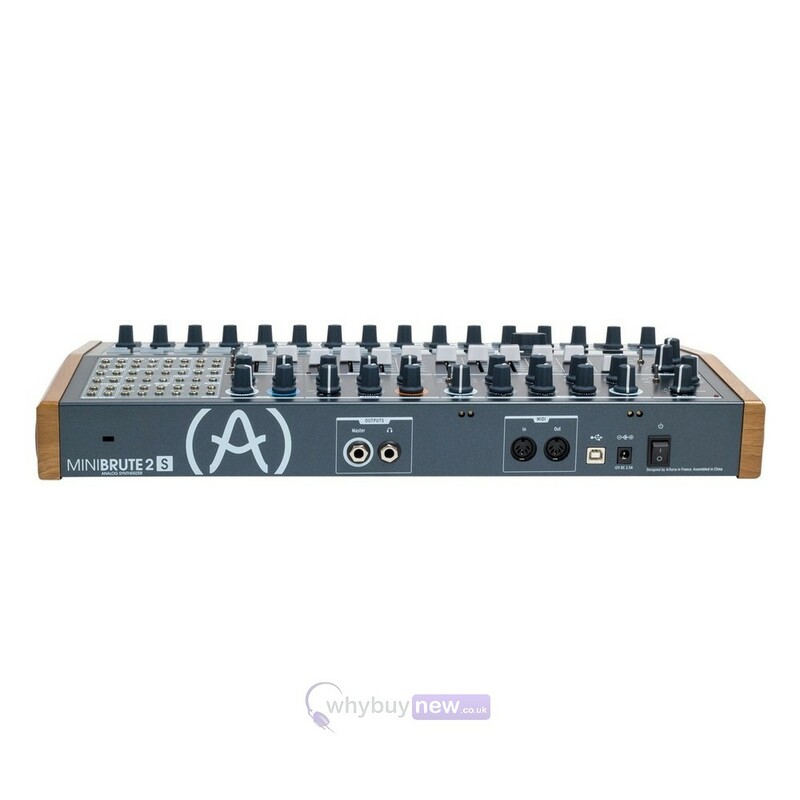 The Arturia Minibrute 2S is an award winning analog synthesiser with a highly versatile step sequencer. 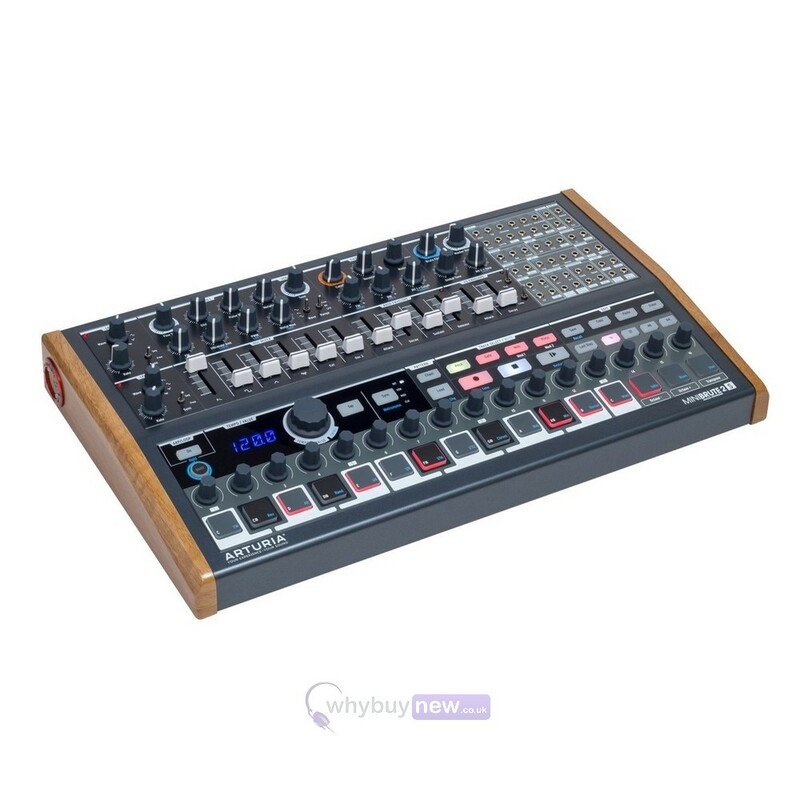 The top part of the Arturia Minibrute 2S is a synthesiser section that includes 2 oscillators, 2 LFO's and a whole range of other features, while the bottom part is the sequencer section that has 64 sequence memories and allows you to chain sequences. 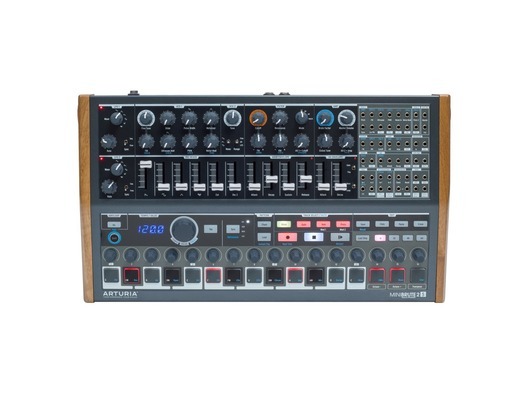 The Arturia Minibrute 2S also includes MIDI in and out so you can connect the Arturia Minibrute 2S to any DAW or other MIDI hardware equipment. Combining the best elements of an analog synthesizer with an intuitive step-sequencer and exciting semi-modular architecture, MiniBrute 2S was made to inspire. Its parameters are clearly laid out and create sound thats packed with personality and attitude. Its multi-pattern, triple-layer, 64-step sequencer offers exciting new ways of creating music, but takes the pain out of pattern programming. 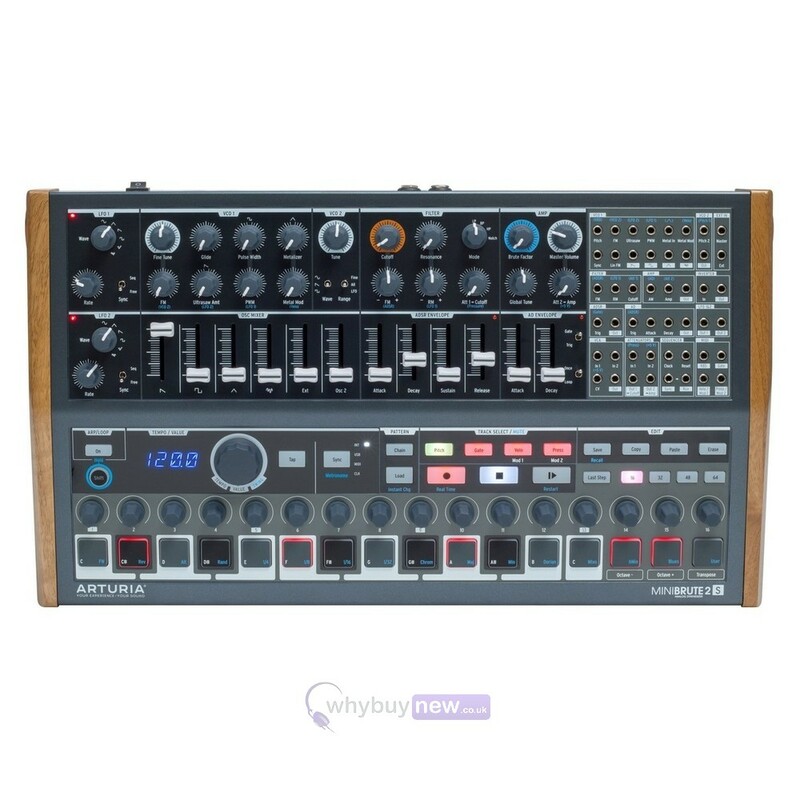 A serious standalone synth, MiniBrute 2S can also be augmented by using its expanded patchbay, and become the center of your modular system. Hook it up to a RackBrute and keep your whole collection in a stylish, robust Eurorack ecosystem. Fans of the original MiniBrute will instantly fall in love with the familiar controls and signal flow, but this synth has an exciting new sound that it cant wait for the world to discover. A powerful standalone synth, MiniBrute 2S gives you hands-on control, letting you create unique sounds that will set you apart from the crowd. Theres nothing quite like thrill of hearing your sound come to life in your hands; singing as you tweak your VCO waveforms; growling as you ride your LFO; and screaming as you push the Steiner-Parker filter. Through organic programming with near-infinite possibilities, MiniBrute 2S opens up an exciting universe of sound for you to explore. Although the MiniBrute 2S is an amazingly powerful standalone synthesizer, it urges you to dig deeper. As soon as you start hooking up the included cables to the patchbay, bringing in signals from your modular gear to twist and warp its sound, or sending signals out to add modular layers, youll be falling down the rabbit hole of joyous synth invention. MiniBrute 2S isnt merely a product, its an obsession, a journey, and a commitment to give you one of the most rewarding synth experiences possible. By replacing the traditional keyboard interface of the MiniBrute 2S, Arturias designers were able to incorporate a powerful, intuitive sequencer section into the synth. Featuring up to 64 steps, 3 layers of depth, and fast, simple, effective sequence generation, MiniBrute 2S gives you synth-sequencing control like no other. Whatever your creative setup, and whether youre tracking blistering synth arpeggios into your DAW or syncing up to a drum machine in your live rig, MiniBrute 2S will keep your inspiration fired up and give you new creative opportunities.